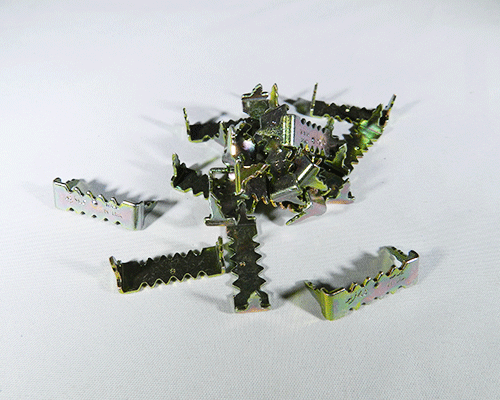 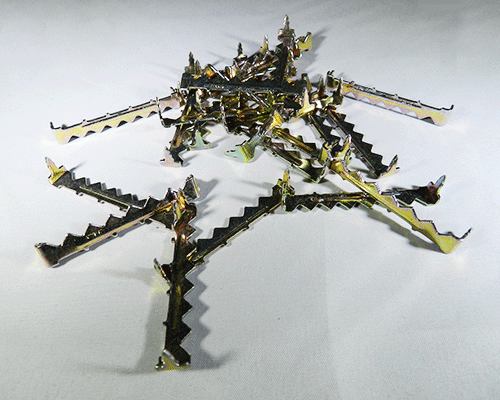 At Bear Woods, get 100 sawtooth picture hangers for the price of 10 at most retail stores! 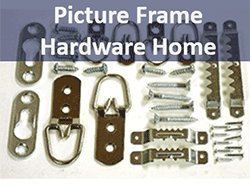 We stock an extensive inventory of sawtooth picture hangers that may be attached to the frame with nails or screws, or hammered into wood without any nails or screws - called nail-less sawtooth hangers. 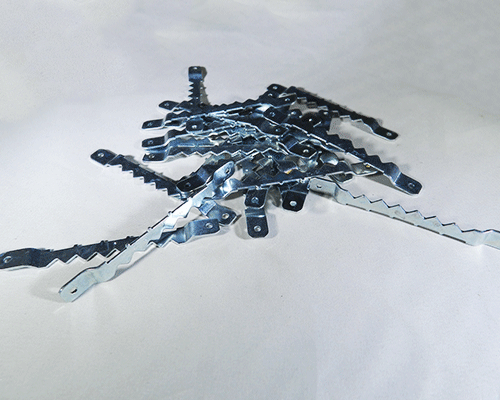 Our high quality Steel Sawtooth Hangers feature a dimple right in the center, making picture hanging simple. 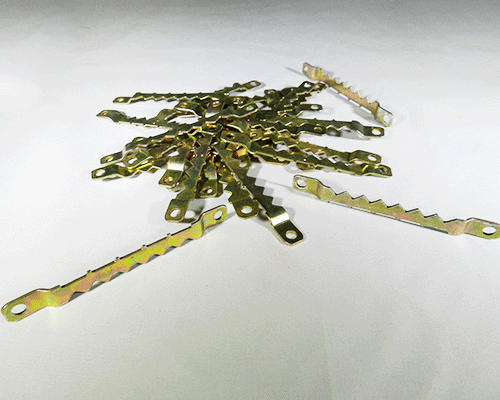 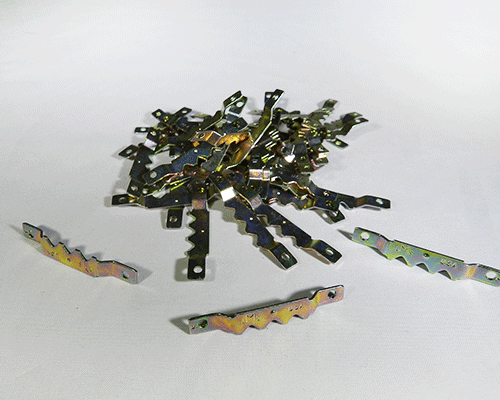 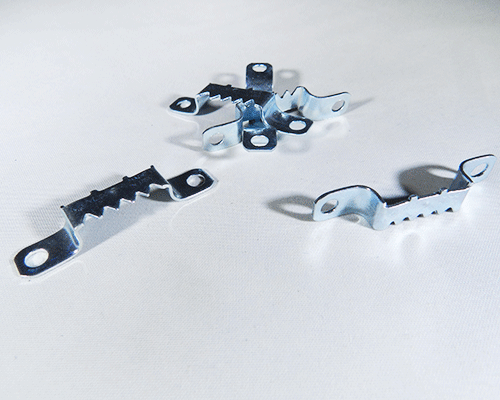 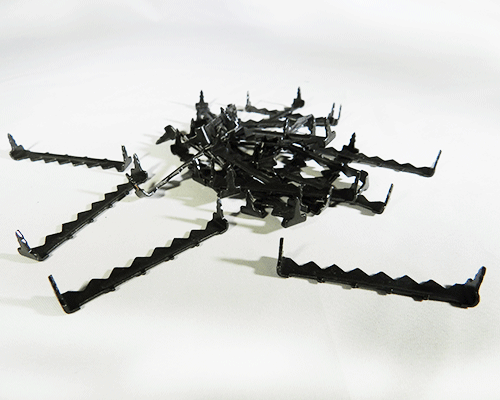 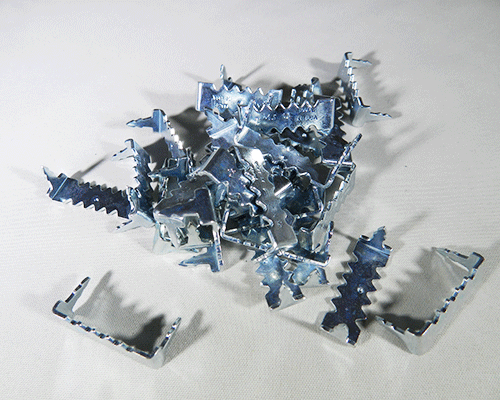 Sawtooth hangers are extremely popular and easy for anyone to install. 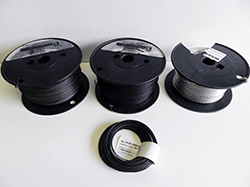 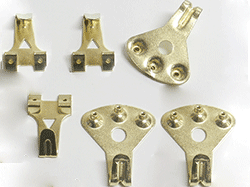 They are highly versatile for picture framers, artists and hobbyists. 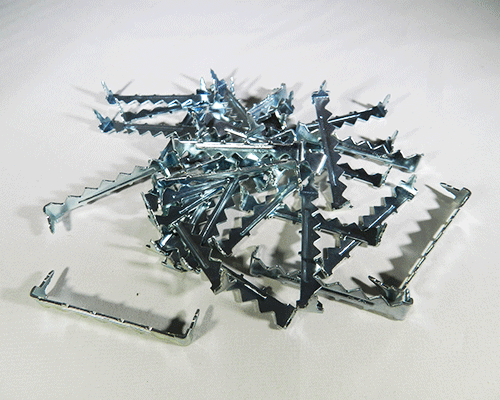 Use Sawtooth Hangers with canvases, plastic and wooden picture frames. 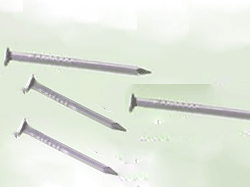 2) When choosing nail-less (HS-N10-N40) sawtooth hangers select based on your picture frame material - special fabrication is used to differentiate between hangers used for softwood versus hardwood. 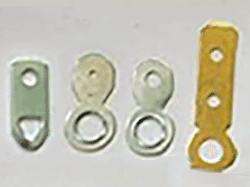 3) Discounts by volume. 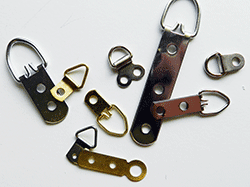 Prices decrease by quantities of bags of picture hangers purchased. 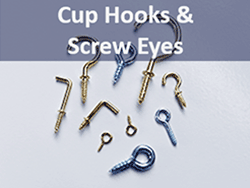 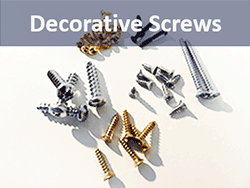 4) Follow links at bottom of page to select screws. 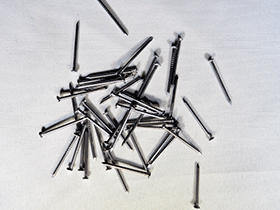 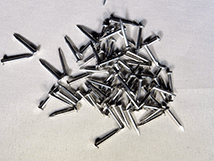 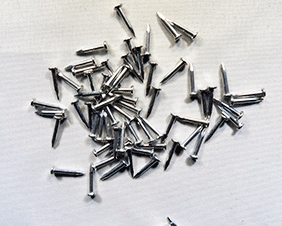 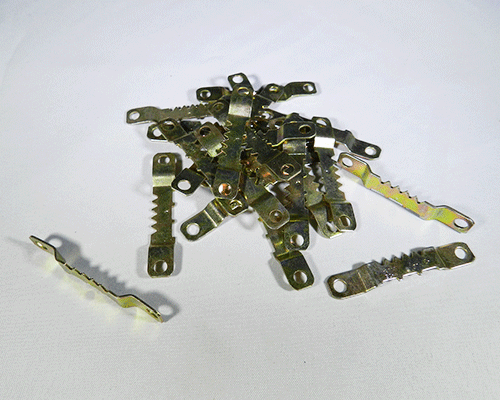 Recommendations for screws or nails can be found in the title of the product.